First up is this 1927 racing Norton outfit, ‘LPD1’; a genuine Pat Driscoll Norton Brooklands race bike from the mid-1920s. 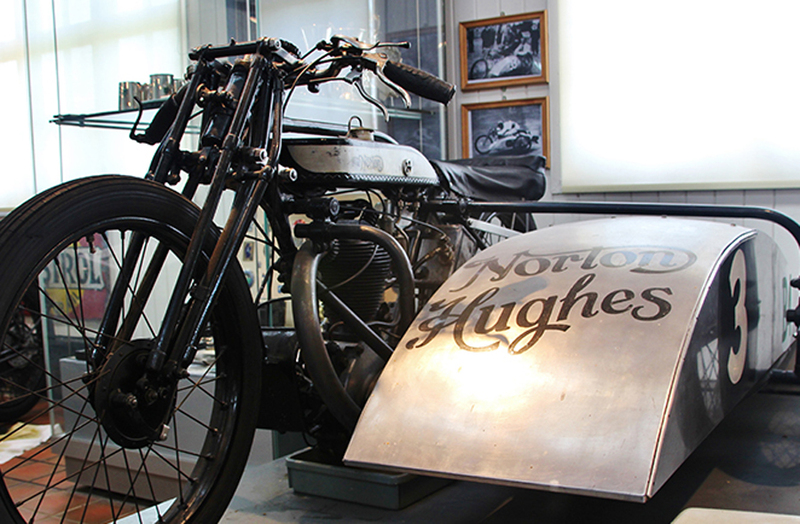 LPD1 was originally part of the Norton works team and was regularly raced at Brooklands by Bert Denly. Bert Denly was the first 500cc rider to achieve 100 miles in an hour on a solo motorcycle at Montlhéry in June 1927. LPD1 took 18 world long distance records ridden by Bert Denly and Pat Driscoll, with local rider Jack King as passenger, on 29th June 1928. It also took part in the 200-mile races at Brooklands where it won one and came third in another. In 1929 Pat Driscoll acquired the machine and used it until he was forced to give up racing by the Austin works team who considered it to be too dangerous. Although Driscoll achieved over 200 first places in three years of competition, his main interest was in record attempts and long distance racing. 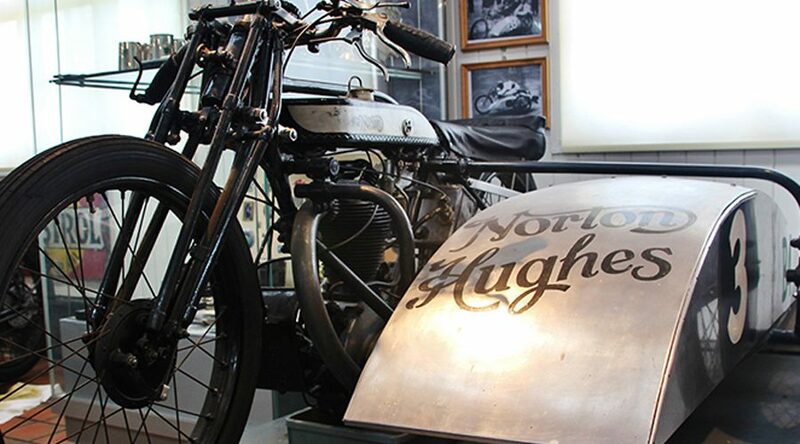 He became one of the outstanding tuner-riders of Norton in the 1920s and 30s and was a contracted Norton works rider. The machine is fitted with its original sprint tank and Druid ES forks. The bike has been faithfully restored according to Pat Driscoll’s wishes for it to look ‘used’ rather than in showroom condition, and is still ridden at special events. 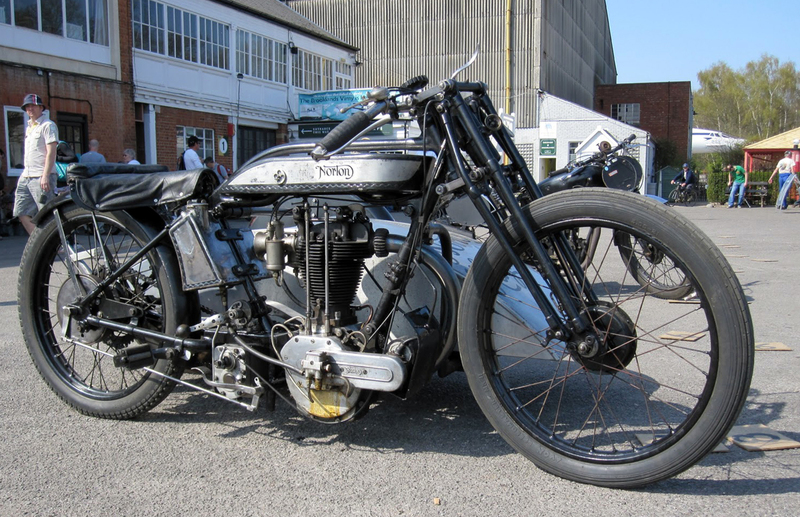 Another notable Norton which you’ll find on the Brooklands display is this 1933 overhead cam racer. It was supplied by the Norton works for the 1933 Manx Grand Prix with a specially tuned engine, very similar to the works TT motorcycles. In later years the description ‘Manx’ was added to designate such racing machines, but in 1933 it was simply the racing version. 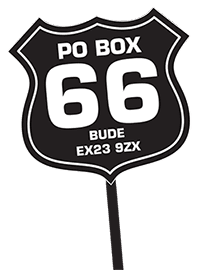 It was then used in road races and was first raced at Brooklands in 1936 in the Hutchinson Hundred by JB Moss, who went on to become a works AJS rider. 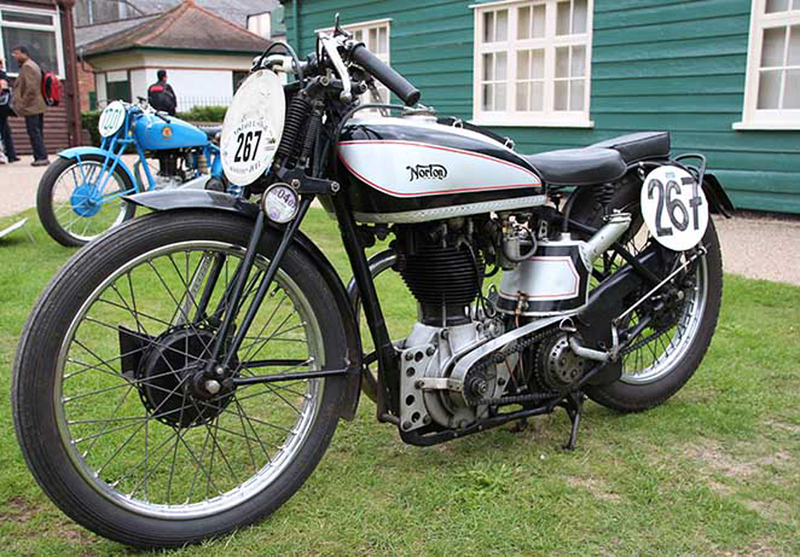 By the end of 1937 the Norton was becoming uncompetitive in road races so it remained at Brooklands where the rigid frame was not a significant disadvantage and handicap events compensated for its lower engine output. When war ended racing on the track, it was sold to Ray Petty for use as a means of getting to and from the Vickers works at Brooklands. After the war Ray became one of the leading tuners of the cammy Nortons. In 1947 it was sold to Denis (Jenks) Jenkinson who raced it in events both at home and on the continent where he also passengered Eric Oliver and won the world sidecar championship in 1949 on a Manx Norton outfit. At a race in Belgium Jenks blew up the original 350 engine which was replaced by the current 1950 500cc engine. When Jenks loaned this machine to the museum in 1990, he described it as a typical clubman’s racer of the period. While it is true that International Nortons were favoured by clubmen, his machine was a pure racer in Manx specification, although today it is fitted with a kickstart and could be used on the road. 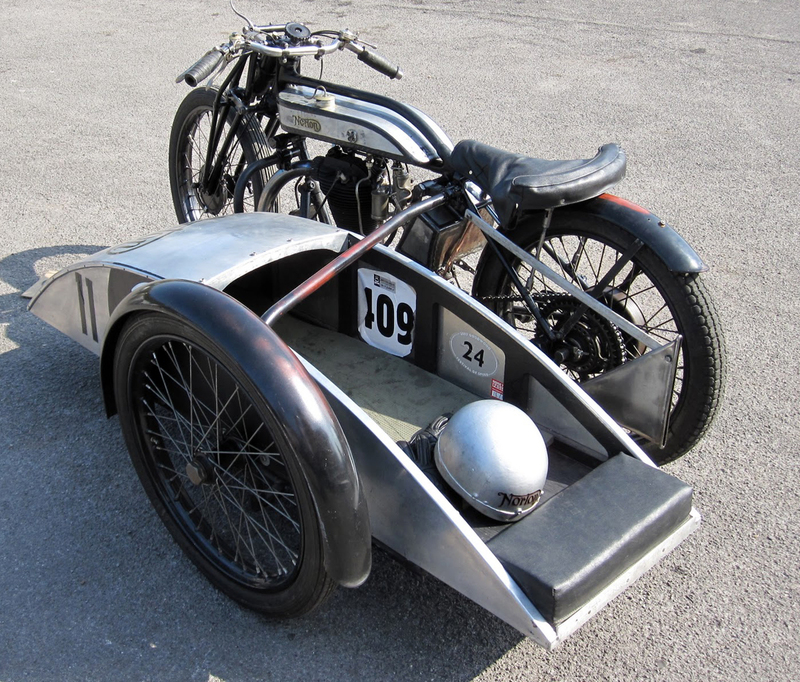 Both bikes will be displayed courtesy of Roger Bird, alongside other rare and unusual Nortons from the Brooklands Museum collection. The Museum team will also be giving an informative talk about their work with vintage motorcycles, with a Q&A session, in the Stockmans’ Building during the course of the show.